Accurate Siding and Windows | The future of windows. The costs of replacing your windows are future investments to be made. The investment deals with not having to replace your windows for the next 10-20 years or so in turn saving you money in having to spike up your electrical bill in your summer and winter months. Even now you can buy futuristic windows that are more insulated. New Insulated windows can keep sound out, air out, and save you money. Energy efficient windows are always a great choice. The future is now here and is hard to believe that no one has created the next future idea/product about windows. Can you imagine in the next 10-20 years replacing your vinyl windows or fiberglass windows for some digitally enhanced and fully equipped all weather protective windows that will provide a way to shade or hide sun light and creating an appearance of night time during daytime depending on your preference (as pictured above). The next thing you would think about is how would these futuristic windows be powered? Of course some kind of solar powered infused window that is remotely controlled either by a remote or a phone app. If the future is here we would see hover boards, battery operated vehicles, 3D printed food, and so much more. For your information these all already exist and are already in the hands of the general public. So it is a matter of time that windows and anything dealing with home improvement would be futuristic like. It wouldn’t surprise Accurate Siding & Windows Inc. that these futuristic windows will probably be hitting the market soon or be presented at your next HGTV or energy efficient conventions. 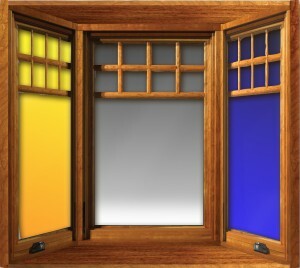 www.accuratesidingandwindows.com under the Contact tab or give us a call +757-301-6972.